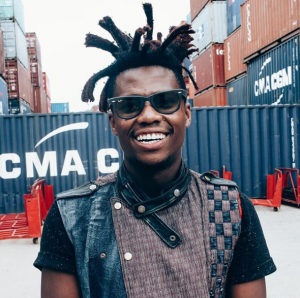 Smash Afrika (born Afrika Similo Mdutyulwa on 31 October 1989) is a South African radio and television presenter, he is best known for co-hosting the Mzansi Magic's Friday night music show Massive Music alongside Lalla Hirayama. Smash Afrika began his radio work on campus radio when he was studying at the University of the Free State. In 2011 he moved to the city of Johannesburg where he joined Voice of Wits, a University of the Witwatersrand, where he spent a year. He was poached from Voice of Wits by Tholi B to YFM. Together with Tholi B, they hosted the Drive time show for 2 years from 2012 to 2014. In 2015 Smash Afrika hosted his own show on YFM in the early hours between 3am and 6am and in 2016 he started hosting the Smash and Grab 6am to 9am. In 2018 SABC Radio's 5FM poached him from YFM. On 5FM he hosts Live At Night Weeknights from 7pm to 10pm.